As the new president of the United States, Donald Trump has shown in many ways how he deals with American politics, for the better or worse. On the subject of the environment, Donald Trump has shown many times how he doesn’t care about what the future holds for the environment. 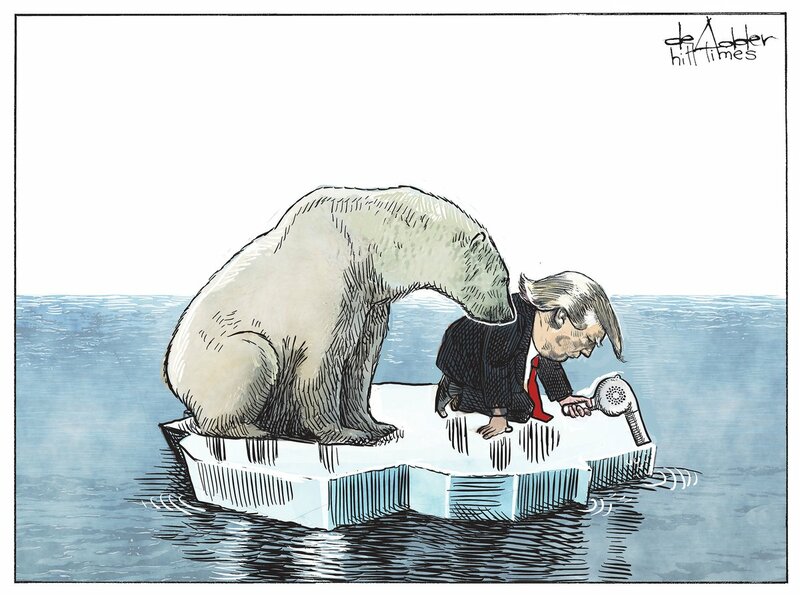 Especially since he and his supporters have said they don’t believe in climate change and consider it a fraud made up by scientists. Having Donald Trump as president can change the environment in drastic ways. One of the things that he has already done for the environment was approve of the Dakota Access pipeline, that was a center of controversy before. It was protested by the Standing Rock Sioux Tribe for the fear of the new oil pipeline would break and burst into the water source the people used. President Obama was criticized by Republicans for preventing the construction of the pipeline, which was said to create more jobs and help the economy. Democrats have said that the jobs created by the construction of the pipeline are only temporary and in the end, not many jobs would be needed. If the oil pipeline ever bursts, then Donald Trump can be blamed. The protests made by the people need to be put into consideration, not only for the environment but also for the future. If the oil pipeline is safe now, but what about in 10 or 15 years? Many things can happen and the oil pipeline bursting open can be one. Donald Trump has stated before that he plans to use coal as a source of energy. Not only would it harm the environment now, but also future generations to come. The next generation would have to deal with effects from the pollution and the waste from all the coal use. Pollution in the world is already a problem now and using coal freely and without limits, will only make the problem worse. He has already started by revoking a law which prevented coal mining companies from dumping debris into local streams. The coal industry has said the rule was burdensome, so Congress passed a bill that revoked the rule, and Donald Trump signed it into law. This can be easier for coal mining companies, but the law was first placed so it can help the environment. I feel like by allowing the law to be revoked will cause much harm to the environment that can’t be undone. Coal might help the economy now, but with a growing population how long can coal be used for? Using coal now will not help the future of the people or the environment itself. With Donald Trump as president, one of the many ways he is hurting the environment, even more, is by withdrawing guidance for federal agencies to include greenhouse gas emissions in environmental reviews. This was caused by Republicans, as they say, that the government does not have much authority to control greenhouse gas or climate change. Even though this is being, if the government does not plan to include greenhouse gas emissions in their reviews it would only cause harm. It would lead to information not getting out, and if the government doesn’t try to stop and inform about greenhouse emissions, how likely would the citizens know what they are doing and try to limit or stop the actions. Donald Trump as the president has already brought many controversies. Many people agree or disagree with his actions. I do not support the ways that he treats the environment. Even though he says it is for the people and economy, what about the future generation? They would not like how Trump just cared for the current times but didn’t think about what would happen in maybe 20 years? It is just the start of the presidency, but many more things to come in the end for the people and the environment.